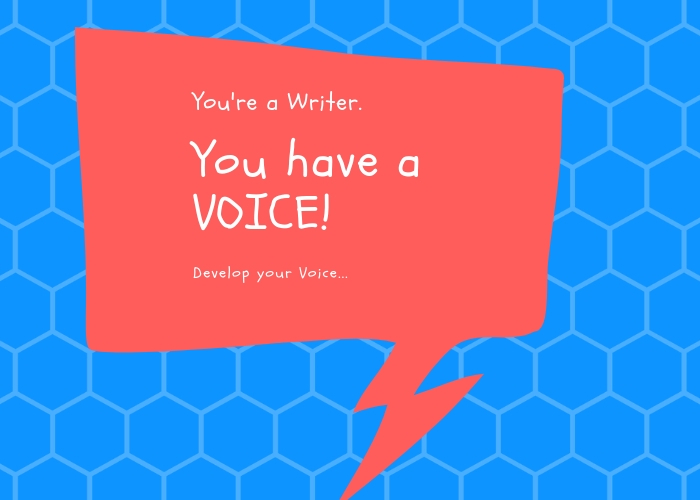 You are here: Home / Freelance Writing / How to Develop Your Writing Voice? The work life of a modern-day content writer or a talented copywriter is nothing short of a rollercoaster ride; exciting, adventurous and invigorating. When writing for the web, a writer goes through numerous stages of creative excellence as they produce content for a wide range of readers on a variety of different topics. In fact, a busy copywriter may very well produce content on more than 10-15 different topics! So why do you think some copywriters are in so much demand? Why are they highly sought after, so much so that they keep getting repeat clients who want to hire them regularly, project after project? The reason is simple. These writers have a well-developed writing voice. After years of writing for the web or for that matter, any other platform, a writer develops a unique voice, a style of writing that their readers like, associate with and start relating to. It is the voice and the value this voice brings to their lives that help in increasing subscribers to a blog or newsletter. One of the best things you can do to develop your unique voice is to write on a regular basis. As you write more and more, you will find yourself getting accustomed to expressing your thoughts and ideas clearly and coherently. Words will start flowing faster and more effortlessly, and this will help you polish your writing skills. – Update your blog with informative blog posts. – Write articles on topics of your interest. – Indulge in some creative writing by trying your hand at poetry and story writing. Get into the good habit of reading. The more you read, the more enlightened you become. You can read magazines, literary works, novels, autobiographies, news items, and blogs/websites on the topics of your interest. By reading good work of other writers on varied topics, you will be able to develop your opinions and broaden your horizons that will eventually help you in expressing yourself better through your writing. It is great to be an expert in your field. Not only do experts demand more respect, but they also stand out for their craft. The trick is to know what you are good at, what interests you the most and what are you most knowledgeable about. Once you pinpoint your expertise, try to establish yourself as an expert in that field – be it advertising, gardening, stitching, pottery, or any other field. Next, you can write informative articles about your area of interest that can serve as a guide for others to read and follow. Learn to develop your opinion on things. When you have your own original thoughts and ideas, you will be able to project them through your writing. Always remember that readers connect with those writers with whom they can form a connection. So let your words reflect your thoughts and opinions and start building a loyal reader base. To succeed as an online writer, it is imperative that you develop your own unique writing style. Copying other writers is a waste of time and an unnecessary shortcut. If you want your readers to connect with you, you must start writing from the heart.